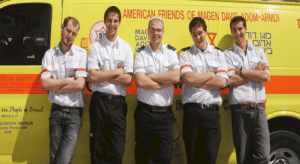 MADA (Magen David Adom) is the main ambulance service in Israel providing emergency care. Participants who choose this option will participate in the MADA training course – a ten day program of learning that gives you a wide range of first-aid skills ranging from bandaging a simple wound through CPR and mass casualty incidents. The course is intense – classes are held from early in the morning until late at night. You will be quizzed daily on the material learned and on the last day of the course you will be given a certification exam on all of the material covered in the training course. The exam consists of a written test and a practical test. 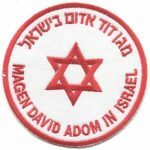 You must pass both tests and receive the instructor’s recommendation to receive a certificate as a “Certified First Responder” through MADA Israel to be able to volunteer to work on an ambulance in Israel. Any student who does not pass the exam will not be allowed to volunteer for MADA. Once you pass those tests, you will be able to volunteer with MADA. Each participant is paired with a MADA Station and is given 4 shifts a week. Each shift is 8 hours long and can be morning, noon or night shifts, so please bear in mind that it can be disruptive of your regular Aardvark schedule. The volunteers will be on the ambulances as much as they are needed. The volunteering period lasts 6 weeks with the option to extend if you are enjoying it and the station likes and needs you there.